The language of daily communication with IJF Academy management and staff is ENGLISH. Please, use the google translate service to manage the communication in your language. 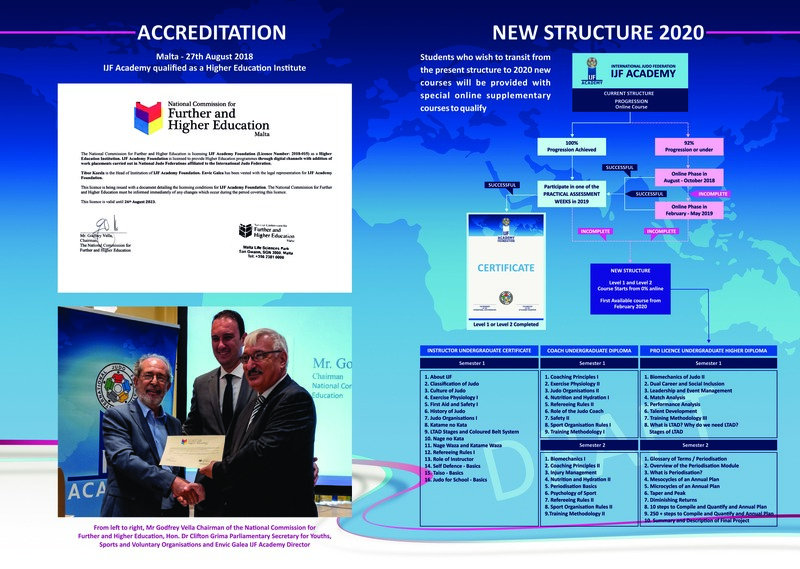 Starting from 2020, all of our Coaching Courses will be accredited by the National Commission for Further and Higher Education in Malta, where the IJF Academy is registered and we will see restructuring to meet the accreditation standards. We have noticed that some students who are registered either did not start the course or have not achieved the 100% progression in the online theory session required to attend the practical examinations. We also have students who achieved the 100% in the online theory session and are waiting to do the final practical examinations. Therefore, before, we introduce the new system in 2020, we will give these students the opportunity to qualify by June 2020. The last intake and registration possibility for any new students for the old structure will be the Semester February – May 2019 and these students will have to qualify for any of the practical courses with 100% progression online result. To facilitate this procedure, we prepared a calendar of where these students can attend the final practical examinations. By June 2020 all the previous results of pending students will be deleted. New students will only have the possibility to enrol for the new structure in the semester February-June 2020. No applications are accepted direct from students. Only the National Federation can register students for the practical sessions after clearance with the IJF Academy that the students qualify to participate. The Federation is responsible for the travel and accommodation in these centres. In some centres, the Olympic Solidarity supports the National Olympic Committee and the National Judo Federation for the organisation of the practical week, in this case, the cost of board and lodging is sponsored or partially sponsored. Please follow the attached guideline to check if you miss any subject(s) in the online course that you need to complete to achieve the 100% online progression rate. If you have 100% progression and did not participate in the IJF Academy practical examinations, you need to contact your national federation to receive more information about the location and date of the planned practical session from your Federation. Should you have completed all these requirements before, please do not consider the message applicable to your case. We ask for your collaboration so that we can introduce smoothly the new structure. 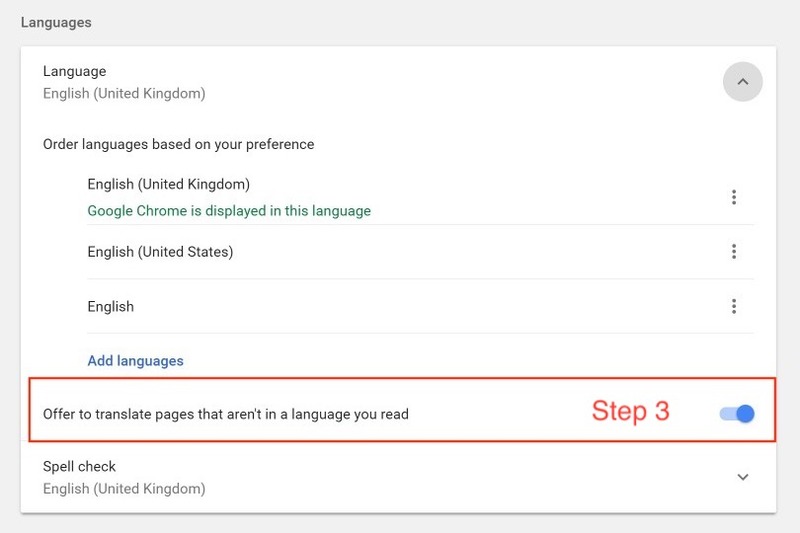 You can change the settings of your CHROME browser to tranlate the platform in your langauge if it is avalable. The official language of the IJF ACADEMY is English. The platform can serve additional languages, but the course content depends on the availability of the translated material. The students of IJF Academy Courses have the opportunity to monitor their study progress at any the time. The Platform includes the feature “Online Result” in the profile “My Courses” section of every student. This feature can be accessed only after the student has signed in. The students can also monitor the results of the Weekly Tests as well as the Trial Tests. This information is available in the “Test Details” feature of every test, both Trial and Weekly tests. The selection of the potential students is the sole responsibility of the National Federations affiliated to IJF. The nominated students must have a personal email address that will be used as access to the platform during their study period. NO email address of National Federations is accepted; it is highly recommended to set up a GMAIL address for this course (https://accounts.google.com/signup). 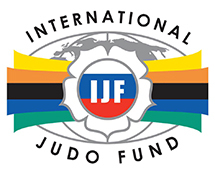 The IJF Academy will send an electronic invitation using the personal email address of the students to sign up. Using the email address and the selected password students sign in to the platform and start the course. Follow the guide hereunder that helps the sign-up procedure. DO NOT USE MOBILE PHONE FOR SIGN-UP! USE (LAPTOP) COMPUTER TO COMPLETE THE PROCEDURE. Registered students must click on the "Sign in" button in the top right corner of the Platform. Type in your username, which is the email address used by “Sign-up” and the password, then click on "Sign in". Every IJF Academy Course has one or more assigned instructor/tutor. The name and the picture of the instructors/tutors is available in the Course side. The students can also receive information about the instructor/tutor by reviewing the profile. The IJF Academy platform provides different features of communication between the students and the instructor/tutor. The Forum post is available for every student to submit any question or query that is related to each module/subject. The Forum post feature provides the discussion for all the students enrolled to the same course at the same time. The instructor/tutor provide guidance and explanation for the students answering the questions or query submitted by a student. Translation device of the Forum post provides a flexibility for the students to submit their question in the language they speak. The students also have the possibility to contact the instructor/tutor directly. The chat features of the Forum serve this possibility. Students can also send a personal email message to the instructor/tutor directly. The email address of the instructor/tutor is available in the course site of the platform. The subject of the Forum post and the direct email messages can cover questions and queries included but not limited to issues of guidance in study skills, finding resources and counselling. Meeting between a student and the instructor/tutor can be scheduled on the individual basis. Since the students of IJF Academy are coming from all over the world and live in different time zones, such meeting must be scheduled carefully. The IJF Academy platform provides the feature of live meeting via the Wowza feature that is embedded in the Platform. The students of the IJF Academy Course have the possibility to provide their feedback after the Course is completed. Every IJF Academy Course has a specific online questionnaire where the students can express their opinion online anonymously. The feedback form can be completed up to 4 weeks after the Course concluded. This deadline is indicated in the invitation for the questionnaire. The students receive invitation for the questionnaire by email, where they can use the link that connects to the online form. The questionnaire has mandatory and free questions. Every section of the questionnaire also includes the possibility where the student can express their notes and proposals. 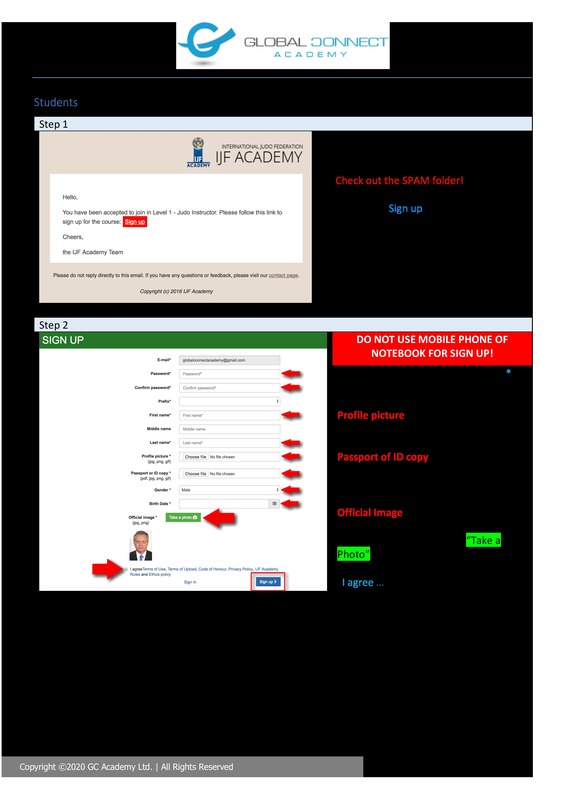 The completed feedback forms are evaluated by the IJF Academy Management and stored in the database. The highlighted short summary of the results is presented in a PowerPoint format and circulated among the instructors/tutors of the course for review. The IJF Academy Management highlights the results that requires attention for the instructors/tutors. The IJF Academy Management hold a meeting for the discussion of the results and find the solution if necessary. The Forum post feature provides the discussion for all the students enrolled in the same course at the same time. The instructor/tutor provide guidance and explanation for the students answering the questions or query submitted by a student. Translation device of the Forum post provides a flexibility for the students to submit their question in the language they speak. The students also have the possibility to contact the instructor/tutor directly. The chat features of the Forum serve this possibility. The Chat function also provides the possibility of the Group Discussion. In this case, the person who starts the group discussion i.e. instructor/tutor can invite as many students as necessary for the group discussion. In this case, the instructor/tutor can post the date and time in the Platform through the “Announcement” function, or the “Send Message to All” feature. Students can also send a personal email message to the instructor/tutor directly. The email address of the instructor/tutor is available on the course site of the platform. The students of IJF Academy have the possibility to appeal against any decision taken by the IJF Academy Management including the results of tests, assignment and practical scores. Any appeal shall be submitted to the platform, using the “Contact us” link that is available on the main page. The students shall select the “Appeal” in “Select topic” drop-down menu. A detailed description shall be posted and sent to the IJF Academy Management. This email will automatically be sent to the academy@ijf.org address. The submitted message of appeal will be handled by the Academic Director of the IJF Academy. The proposal of solution regarding the submitted appeal of the students is circulated among the instructor/tutor and the IJF Academy director for final approval of the decision. The IJF Academic director will send the final decision of the submitted appeal and handles the appropriate administration if necessary in the database of the student who submitted the appeal. The IJF Academy Courses are designed in the way that students can study using the online platform anywhere and anytime. If students face scheduling difficulty in completing the course within the timeframe of the given semester, they can request the completion of the missing Weekly Tests during the upcoming scheduled semester. It is important that every student must finish the IJF Academy course(s) within 24 months from the date of their sign-up/registration. After the 24 months, the course results will expire and the student has to start all over again from the very beginning of the course. Students must send a letter to academy@ijf.org to submit such intention. Students must send a letter to academy@ijf.org if they intend terminate the course. 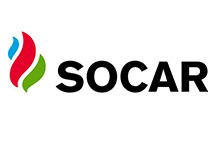 The platform is designed for desktop computers, laptops, tablets and mobile phones. The tests can only be completed online. The period for these tests is available from the date when the test opens until the end of the Semester. This flexibility will provide comfortable choice when the test is completed during the given period. Every lecture includes learning material for download. The students can download the suggested content that can be used offline. The list of the downloadable content is available in every module page of the Platform. Click here, and enter your e-mail address. You will receive an e-mail to this address to help you retrieve your password. Some courses do require to activate the web camera of the used devices. Although the camera option works for tablet and mobile devices ONLY on the Android platform, above version 4.0. 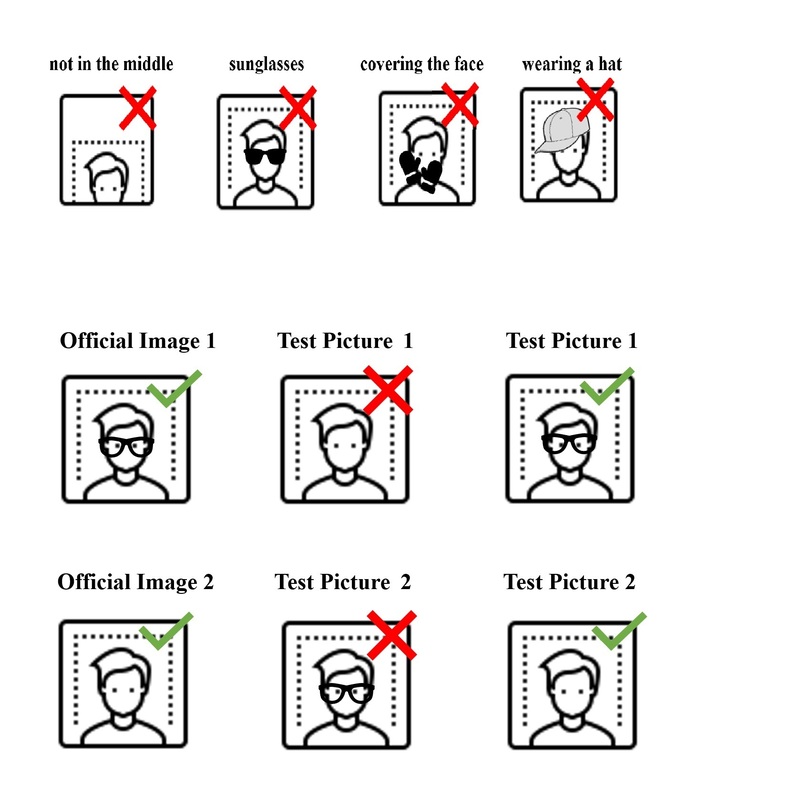 The test application requiring web camera works on desktop computers (internal or external camera) and laptops with a web camera. 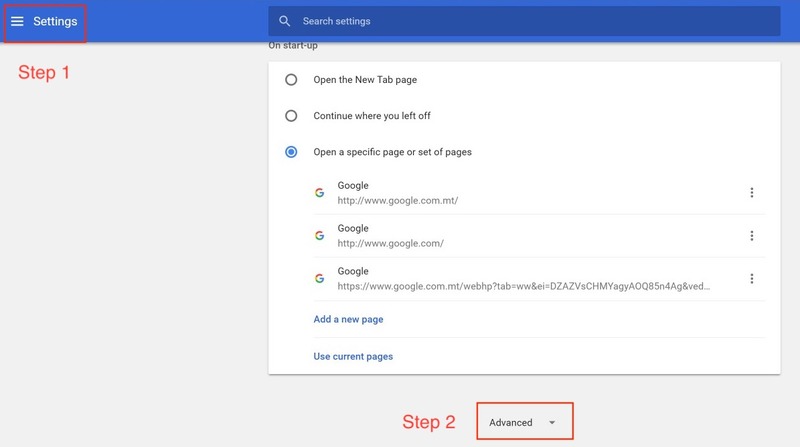 It is recommended to use the CHROME browser for the use of the camera test option. When a Video Test option is active, the students have to allow their laptop and/or desktop computers to access the camera. - is not alone in the picture. Please find more information about it on the „Course details” page: “System of Transcript Delivery”. Please find more information about it on the „Course details” page: “System of Certificate Delivery”. You can find the copy of your certificate(s) in your Profile though where you can download it any time. WHO CAN I ASK IF I COULDN’T FIND THE ANSWER ON THIS PAGE TO MY QUESTION? The IJF Academy management will get in touch with you in 24 hours during the business hours. Before the National Federation registers any students, either for level 1 or level 2, they are to ensure that those registered are physically prepared to sustain a minimum of 800 nagi komi in 1 week as Tori and Uke, during the revision of techniques and the preparation of the exams and during the exams. The IJF has established the Academy in order to provide Professional Education in all sectors of Judo. Its first focus is on the technical sector. The Instructor course (Level 1) is intended to train coaches for effective work with youth and beginner athletes. The IJF would like to safeguard and provide support for the Judo Coach education programs. Each National Federation is responsible for its competitors (the control of non-pregnancy as well as the control of gender are placed under the responsibility of the National Federations) and must assume all responsibility for accident and health insurance as well as the civil liabilities for their competitors and officials, during the event described in these outlines. The organiser of the event and the IJF will not be responsible for any insurance related to the above-mentioned matters. Nevertheless, the National Judo Federation staging the event shall take all necessary actions to provide insurance coverage against civil liability for the entire duration. The organizer of the event and the IJF have no liability for any claims of injury, illness or death arising out of the participation and travelling in connection with this event. The Instructor Course is delivered through 12 weeks of theory online and 1 week of assessment and practical. The Instructor theoretical courses are conducted online over a period of 12 weeks. During this period, the students will study the 13 modules. The students will be able to test their knowledge through a maximum of 5 attempts in Trial Tests and 3 attempts in Weekly Tests. The one-week practical session for Level 1 is organised in collaboration with National Federations and National Olympic Committees in different locations according to the needs. The nominated students must have a personal email address that will be used as an access to the platform during their study period. NO email address of National Federations is accepted; it is highly recommended to set up a GMAIL address for this course (https://accounts.google.com/signup). During the online session, the students will study the 13 modules week by week. The students will complete it to test their knowledge through a maximum of 5 attempts in Trial Tests that opens on every Wednesday at midnight (Central European Time). The results are for feedback and information only. The students will complete the Weekly Test, which opens on every Saturday at midnight (Central European Time) and covers the assessment of the module/subject. The Weekly Test can be attempt 3 times from the beginning date of the test until the end of the semester. The students must achieve minimum 60% or higher result during the 3 attempts. The IJF Academy send the list of ELIGIBLE students to the respected national judo federation. The national judo federation confirms who will participate among the eligible students. The IJF Academy send the Platform invitation email to every eligible student and ask to "Accept" the invitation. By this action, the student is enrolled in the practical session. The programme includes teaching and correction sessions, tutorial sessions, and assessments. The sessions’ days are divided in two 90 min sessions in the morning and two 90 min sessions in the evening. For each of two assessments, half day time is reserved, depending on the number of participants, this period can be extended. One assessment can be repeated one time if incomplete. Level 1 Instructor has the goal to train coaches for effective work teaching youth and beginner athletes all the Judo Techniques. After theoretical online and theoretical residential assessments, the judo practical part focuses on basic elements of judo and the demonstration of nage-waza (standing techniques) and katame-waza (grappling techniques) of Kodokan judo. The grading system for the first and second judo practical assessment is given in percentage (%) according to the performance of the students. The assessment is successful if the student receives minimum 60% for the demonstrated performance. First judo practical assessment includes the demonstration of ten Nage-waza nage komi (from Tachi-waza and Sutemi-waza), migi (right) and hidari (left), on two different movements (from forward, backward, sideward, or circular movements). In total are 40 nage komi. Second judo practical assessment includes the demonstration of two Osaekomi-waza, two Shime-waza, two Kansetsu-waza, two Renzoku-waza, two Renraku-waza, two transitions from Tachi-waza into Ne-waza as tori, and two transitions from Tachi-waza into Ne-waza as uke. Katame-waza techniques have to be demonstrated left and right, including the basic form, escaping, and techniques/ways to go into the demonstrated technique. The combinations and transitions must be demonstrated left and right, dynamic (using forward, backward, sideward or circular movements). In total are six Katame-waza techniques and 16 nage komi for Renzoku/Renraku and transitions. Nage-no-Kata assessments will be done during the residential block, according to the level of the students. The grading system for the kata demonstration is: accepted or not accepted. The transcript can be downloaded in the Profile section from “My Courses” using the “Final Results” feature in the Platform. Successful completion of 13 Weekly Test for a minimum of 60% of higher during the 3 attempts. Successful completion of Nage-Waza and Katame-Waza practical examinations for a mini-mum of 60% of higher during the practical week. Successful demonstration of Nage-No-Kata during the practical week. Submitted and uploaded copy of the First Aid Certificate. You can find the copy of your certificate(s) in your Profile though where you can download it any time. The Instructor Certification – Level 1 requires that the candidates have a First Aid Certificate (FAC). Such certificate must be completed in the country of residence and provide a copy to IJF Academy to prove its completion. The copy of the First Aid Certificate must be uploaded in the Profile section. IJF Academy does not accept first aid university course/subject to fulfil this requirement. 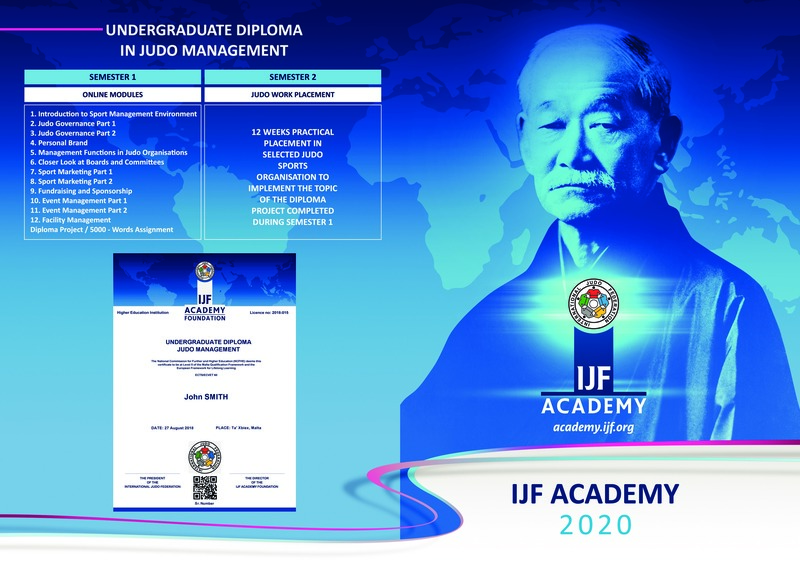 The students can only receive their IJF Academy Certificate if they have presented the copy of their FAC. If a student cannot present the copy of the FAC by the time of the practical session, in case of successful completion of the practical requirements, the student will not receive the IJF Academy certificate until the FAC is presented. The Coach Level 2 course was designed to be an introduction to performance coaching for coaches who have performed well at the Level 1 Instructor course and achieved minimum 75% in both practical Judo tests in Level 1 (Nage Waza and Katame Waza). In case the student does not achieve 75% in both tests he or she must wait minimum 2 years and send a short report of his or her activity on judo in these 2 years and how he or she has utilised the knowledge acquired in Level 1. With this specialization students can begin to meet their country's need for high level coaches. Upon completion of the Level 2 course a coach should be able to identify and coach the basic competition model at national and regional level. The coach should also be able to plan and implement a series of appropriate training sessions within the context of an annual training plan. The Coach course (Level 2) is designed to be an introduction to performance coaching for coaches who have performed well at Level 1 Instructor Course and have gained enough level of coaching specialisation at club level, as per the entry requirements. The Coach Course is delivered through 12 weeks of theory and 1 week of assessment and practical. The Coach theoretical courses are conducted online over a period of 12 weeks. The one-week practical session for Level 2 is organised in collaboration with National Federations and National Olympic Committees in different locations according to the needs. Level 2 has the goal to be an introduction to performance coaching for coaches who have performed well at Level 1 Instructor Course and have gained enough level of coaching specialisation at club level. After theoretical online and theoretical residential assessments, the judo practical part focuses on training elements of judo and the development and training of basic techniques to competition techniques in Nage-Waza and Katame-Waza. The programme includes teaching/correcting sessions, tutorial sessions, and assessments. The sessions’ days are divided in two 90 min sessions in the morning and two 90 min sessions in the evening. For each of two assessments, we reserved a time of half day. One assessment can be repeated one time. First judo practical assessment includes the demonstration of one nage-waza technique, with explanation of the 8 steps with a partner and the 4 steps with an opponent. Second judo practical assessment includes the demonstration of one katame-waza technique, with explanation of the 8 steps with a partner and the 4 steps with an opponent. Katame no Kata assessments demonstration will be done during the residential block, according the level of the students. The grading system for the kata demonstration is: accepted or not accepted. The Level 2 - Coach certificates are delivered directly to the students only by email in PDF format. The certificates are only delivered if the student has completed all the necessary re-quirements. Successful demonstration of Katame-No-Kata during the practical week. The IJF Academy Management review and agree on the components of every module sub-mitted by the author/instructor/tutor before the Course starts. The Management confirms the proposer scheduling of the module/subject components that provides a logical link and progression for the upcoming module/subject. The Pro Licence Level 3 course is designed to be an introduction to performance coaching coaches who have performed well at Level 2 and achieved minimum 75% in both practical Judo tests in Level 2 (Tachi and Ne Waza). The applicants are also required to send a short CV on what they had been doing on a na-tional or international basis to merit to register for this high-performance course of Level 3. On completion of a Level 3 course a coach should be able to identify and coach the basic competition model for International Competitions. The Pro Licence course (Level 3) is designed to be an introduction to performance coaching for coaches who have performed well at Level 2 and have gained a level of coaching special-isation in National and Regional activities. Since the Level 3 – Pro Licence Course did not start yet, this detail will be given at later stage. During the online session, the students will study the required modules week by week. The students will complete it to test their knowledge through a maximum of 5 attempts in Trial Tests that starts on every Wednesday midnight (Central European Time). The results are for feedback and information only. The students will complete the Weekly Test that covers the assessment of the mod-ule/subject. The Weekly Test can be attempt 3 times from the beginning date of the test until the end of the semester. The students must achieve minimum 60% or higher result dur-ing the 3 attempts. The transcript can be downloaded in the “My Courses” section, using the “Final Results” fea-ture in the Platform. The Certified Judo Manager course is intended to train administrators for effective work within judo clubs and centres. The IJF Academy is providing a new sector to help administrators run professionally the judo clubs and centres. It is essential to provide sport managers with access to a management course of international significance, to contribute towards the improvement and the management of their judo clubs and national judo federations. • Nomination by a National Judo Federation affiliated to IJF. The Certified Judo Manager Course Certificate part is delivered through 12 weeks online session. The Certified Judo Manager Course Diploma part is delivered through 4 weeks to prepare the minimum 4.500 and maximum 5.000-word assignment. At the end of the Certified Judo Manager Course, the students will know what need to be done for an administrator, a business owner, a club volunteer to ensure the smooth running and safeguarding of the judo club or centre daily management. Whilst judo is in the focus the students will be able to examine judo in the context of the global, regional and local sporting environments. The study material gives context to judo sport and allows comparison of judo to the wider sporting landscape. students, who pass the 12 online tests and submit a satisfactory assignment are issued with a Diploma. During the online session, the students will study the 12 modules week by week. The students will complete the Quiz which opens on every Saturday at midnight (Central European Time) and covers the assessment of the module/subject. The Quiz can be attempted 5 times from the beginning date of the test until the end of the semester. The students must achieve minimum 60% or higher result during the 5 attempts. The students who are eligible to progress for the Assignment preparation and submission receive information about the required format and content in the section of the Week 12. The students have to upload the completed assignment only in PDF format in the indicated site in the Platform. The assignement cannot be uploaded in the profile section, under attachment function. Only those assignment will be evaluated, which were uploaded in the indicated site. No evaluation will be conducted for assignments sent by email. The instructor has the access to the page where the assignments are uploaded in the Platform. The Instructor conducts the review and the assessment of the uploaded assignments and provides the evaluation of the platform. The assessment is clarified as either “Satisfactory” or “Not-Satisfactory”. The instructor selects the appropriate decision by clicking on the “Satisfactory” or “Not-Satisfactory” button in the Platform. The system opens an email page where the instructor can provide additional comment to the assessment. The instructor uploads the written evaluation as well that will be sent to the student in PDF format by email. The Certified Judo Manager certificates are delivered directly to the students only by email in PDF format. The certificates are only delivered if the student has completed all the necessary requirements. Successful completion of 12 Weekly Test for a minimum of 60% of higher during the 5 attempts. Accepted assignment that fulfils the requirements posted in the Platform. Assignments are only evaluated if uploaded to the platform. Assignments submitted by email are not accepted.